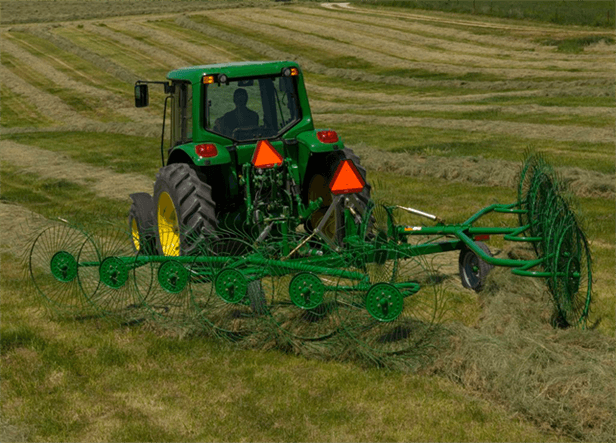 Available in 8-, 10-, and 12-wheel models, there's a Frontier hay rake that's just right for your haymaking operation. These efficient and durable rakes are easily adaptable to your conditions. Plus, they're built to handle heavy crops in minimal time for faster, overall drydrown.